When clicking on the author name on a blog post, it is expected to be redirected to the corresponding author archive page. If that is not happening and you get redirected to the homepage instead, although the author link seems correct on mouseover, you are likely to have Yoast SEO plugin installed. If you’re running a one author blog, the author archive will be exactly the same as your homepage. This is what’s called a duplicate content problem. To avoid it, Yoast allows you to disable author archive pages, which makes them redirect to the homepage. But, if that’s not the case on your site, and you have more than one author, you need to activate archive pages. Log in to your WordPress Dashboard. On the left-hand side menu, click on ‘SEO’. The ‘SEO’ settings will expand providing you additional options. Click on ‘Search Appearance’. Toggle the ‘Author archives’ switch to ‘Enabled’. 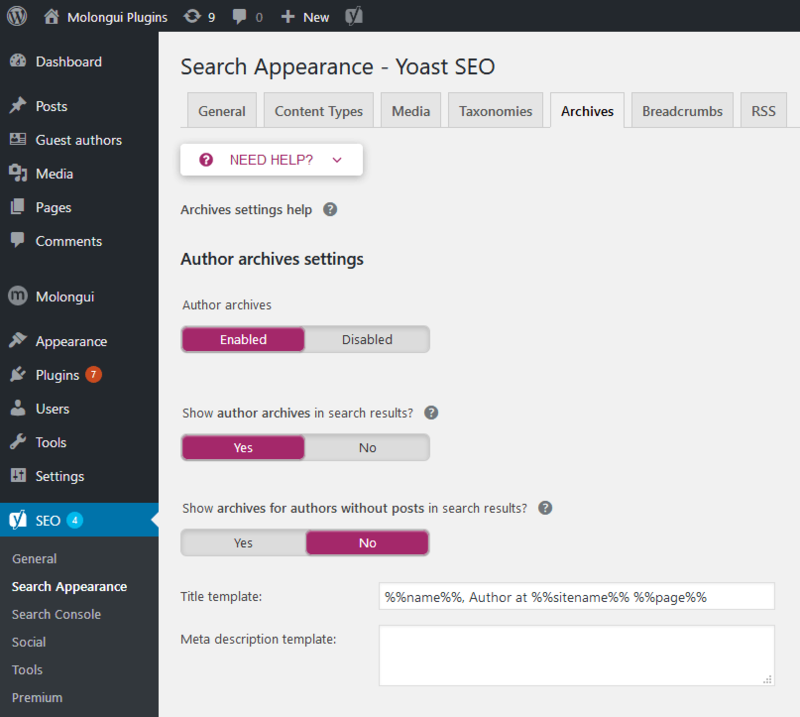 Enable author archives on Yoast SEO plugin settings page.